Product prices and availability are accurate as of 2019-04-19 01:50:16 UTC and are subject to change. Any price and availability information displayed on http://www.amazon.com/ at the time of purchase will apply to the purchase of this product. Our own, highly effective ritual kits to aid you in achieving your desires. Each kit contains: 1 Charged Ritual Candle; 2 pkg. Spell Mix; 1 pkg. 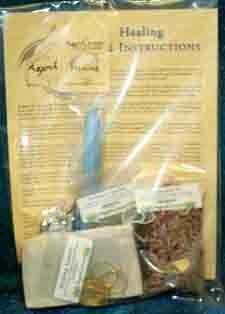 Charcoal; 1 Pouch; 1 cotton bag; 1 Amulet; plus detailed instructions on their use.